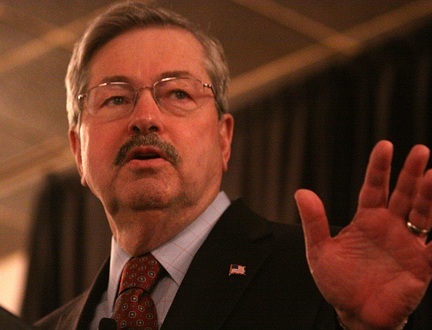 Iowa governor, Terry Branstad, pulled a fast one earlier this week. As a means of diminishing the Supreme Court’s June ruling regarding mandatory life without parole sentences, Governor Branstad commuted the sentences of 38 inmates who had received life without parole as juveniles to life with an option for parole at 60 years. This means that if a 15 year-old received a life without parole sentence in Iowa, he would become eligible for parole at the age of 75. That’s the good news I suppose – that there is a parole option. The bad news is that according to the U.S. Census Bureau, American males are expected to live, on average, until they are a little over 75 years old. I doubt the Census Bureau took into account factors that could influence a person’s lifespan, such as life-long exposure to the adult prison system. Females tend to live longer than males. The Census Bureau reported that women in America live until they are approximately 80 years old on average. Again, these estimates do not take into account prison conditions and are generalized to the entire American population. How is the option for parole after serving sixty years in prison not life without parole? Who is going to take care of these people if they are indeed paroled at age 75 or older? Is there anyone who truly believes that any of these people will be granted parole, or that they won’t be completely institutionalized if they are? It’s absurd and it’s offensive. It not only undermines a ruling instituted by the highest court in this nation, but it mocks that ruling at the very same time. The Court’s June ruling eliminated mandatory life without parole sentences for juveniles, but it did not take the option completely off the table. Instead, it appears to have left a number of doors wide open for states to circumvent the decision through means such as those described above. Instead of allowing each person’s case to return to court for individual review based on the person’s age at the time of the crime, circumstances surrounding the crime, progress while incarcerated, and other potentially mitigating factors, Branstad slammed the door to a second chance, for all who received the sentence at or after the age of fourteen, shut. With regard to this particular decision, I have to agree with Harkin wholeheartedly. Will DNA save Darlie Routier from execution? 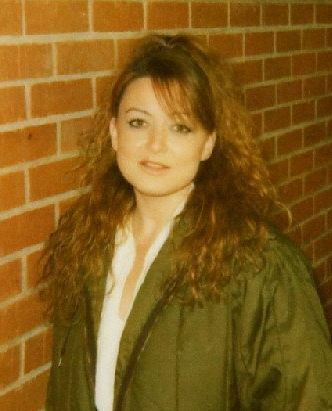 Darlie Routier is on Texas’s infamous death row. She was charged in 1996 of murdering her two children, Damon and Devon. The state of Texas only prosecuted Darlie for Damon’s murder. Part of the reason for this was because Darlie and Damon’s blood was found on a butcher knife taken from the Routier residence on the morning of the murders. The weapon used to kill Devon has not been identified by DNA evidence. Darlie sustained injuries as well. The prosecution would later claim she inflicted these on herself. The knife injury to her neck came within millimeters of her carotid artery. Had the cut been deeper it would have caused her death within minutes. Since Darlie’s conviction in 1997, her defense has fought a bitter battle in the court system to obtain permission to test DNA related materials left at the scene. It is interesting, albeit not that unusual for Texas, that the state has been so adamant about asking the court to refuse Darlie’s defense permission to test a number of specific items. If the state is certain they convicted the right person for the crime, further DNA testing should only serve to solidify their case against her. However, if any of the DNA evidence yields a result that demonstrates an intruder entered the Routier home in the early morning hours of June 6th of 1996, the state of Texas will be forced to acknowledge their mistake in convicting the mother of the two children. Additionally, if the state of Texas convicted the wrong person for this crime, it means the guilty party remains unidentified and unaccountable. It would mean an innocent woman has spent a significant portion of her life in prison, separated from her surviving son as well as others who love and support her. It would also mean that the police turned the victim of a vicious attack into the perpetrator. Many troubling pieces of evidence exist that raise doubt about Darlie’s alleged guilt. The first set of compelling evidence includes the unidentified fingerprints. Three fingerprints taken from the scene of the crime suggest someone other than Darlie was responsible for the attacks. One of the prints is described as “a patent bloody fingerprint” lifted from the utility room door. This fingerprint is limited in terms of forensic value as there is not enough detail to definitively identify the contributor. However, the fingerprint has enough detail to allow for the exclusion of potential contributors. Darlie Routier has been excluded as a source of the print. The bloody print on the utility room door supports Darlie’s claim that an intruder fled from that door, following the attack on her and her two children. The prosecution contended this was not possible, but the fingerprint evidence contradicts that claim completely. Though Darlie was excluded as a source of the above-described print, there is debate as to whether the print belonged to Darin, who was married to Darlie in 1996. A second print expert, Glenn Langenburg, analyzed the same print, but concluded that neither Darlie or Darin was the source. Though two print experts provided varying opinions as to whether or not Darin Routier could be excluded as a source of the print, both excluded Darlie. Further examination of the print was performed to determine whether or not Darin was excluded. I have not yet come across these results. Finally, a third fingerprint was taken from the coffee table that was located in the living room where Darlie and her sons were sleeping the night of the attack. This fingerprint was also described as a “bloody fingerprint”. Darlie was excluded as the source of this print as well. This means there were three fingerprints at the crime scene – two of which were bloody – that matched someone other than Darlie. If any of the existing DNA matches someone who did not live in the Routier house, it would provide powerful and compelling evidence that an intruder was responsible for the attack. Though the prosecution does not want existing evidence to be tested or retested – including the blood from the fingerprints, blood from Darin’s jeans, blood from Darlie’s nightshirt, hairs, and blood from the tube sock found in the alley behind the Routier house – if tested using modern advanced technology, this evidence may be the key to saving a woman from execution. Darlie has long maintained she is innocent of the crimes for which she was convicted. I use the word “crimes” because in addition to being convicted by a jury for Damon’s death, she was also convicted in the media for both of her children’s murders. After many years of legal wrangling over DNA testing, the court granted the defense permission to proceed with testing. In April of 2012, the Court filed a motion outlining provisions for the testing and ordering that the items go to the Department of Public Safety Laboratory in Austin, Texas. These items were to be delivered no later than May 23rd of 2012 so that testing could commence. Upon receiving the items, the above department was asked to conduct testing in a “timely and efficient manner”. It is important to note that the testing of the existing extracts carries the risk that existing evidence could be completely consumed by the process. For this reason, both parties agreed to move forward with the testing of blood samples and other cuttings that were taken from the same items as the extracts. What information will this testing yield? When will the public know the results? The fingerprints are not the only evidence supporting Darlie’s claim of an intruder. Multiple witnesses reported seeing a black car to the police. An officer testified at Darlie’s trial that one of the witnesses described seeing the black car in the alleyway behind the Routier home. 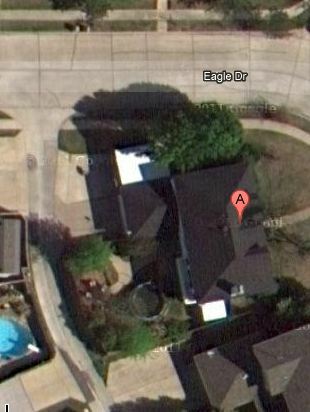 The alley is shown intersecting with Eagle Drive, immediately behind the Routier home. This is significant because the alley is also where the blood-stained sock was found. If the police investigated the sightings of the black car, I have not found documentation of it to date. The sighting of the vehicle was suspicious enough to prompt neighbors to seek out an officer to make a report. However, the sightings did not appear to concern the police. This case prompts many questions about the original police investigation, the amount of time it has taken for the court to grant DNA testing, the circumstances surrounding the testing, and others. Those not directly involved in the prosecution of Darlie Routier will probably agree that the testing of DNA evidence is important. For those who believe Darlie is guilty the perception is that this kind of testing should only support the jury’s 1997 verdict. However, for those who believe in her innocence this testing could mean the difference between life and death for Darlie. When someone’s life is on the line, I for one, believe that all evidence should be thoroughly examined before drastic consequences are enforced. Once a person is executed there is no undoing it, regardless of what the evidence may later reveal. The evidence in this case begs far more questions than it answers. I plan to write more on this case in the future, but wanted to touch on the DNA testing to inform those who are unaware. Donations must include Darlie Routier’s name on the bottom. Click here to go to a comprehensive site containing information about Darlie’s case.